Every woman who has gone through pregnancy, breastfeeding, or any other hormonal changes surely knows the struggle of reclaiming her body. After giving birth to my first son, the issue around slipping into my old jeans became a central part of my internal dialogue and drove me towards losing my confidence and becoming full of insecurities. Instead of enjoying the time with my newborn I was obsessing about all kinds of body issues as if the rest was not enough… The thing is, when you are a new mum, feeling insecure, lonely, and lost becomes a daily part of your life and I often have a feeling that body issues are only the tip of the iceberg of this inner turmoil. With me it was the feeling that I’d lost control and the fear of the unknown ahead of me; my life was upside down and suddenly so chaotic that I lost my vision for the future beyond the dirty Pampers, sleepless nights, and baby burping. When someone told me they were enjoying motherhood I just wanted to scream back in return: Are you kidding me? I can imagine not everyone feels like I did, but for the most part in the first year I felt like I had no idea what I was doing and there was no one to tell me what was right or wrong… Before the baby you are only responsible for yourself and suddenly you become responsible for a family… Your world is upside down and you can easily forget everything you used to be before, which can actually be a good thing. However, this is a time when women struggle the most with their eating habits and making restrictive diets is definitely not the right time, so I decided to find someone who has a very positive and calm approach towards food! I’ve never met Ebeth in person, but we talked over Skype for several hours and we’ve been in the same mastermind group for almost a year. Ebeth is one of those vibrant, self-possessed and calm women who exudes a sense of “everything will be alright” vibes around her. You would never believe she ever had any insecurities about herself. As it turns out, most of the time what you see on the outside is not always the truth. 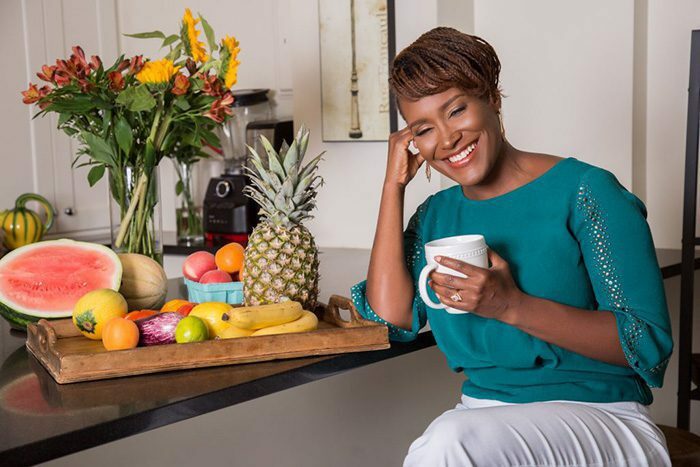 Today as the founder of Delicious Living With Ebeth, she teach women and a few good men how to use mindful meals, empowered exercise and growth mindsets to nourish and nurture their mind, body, spirit and bizz so they can live their most delicious life. Ebeth offers cooking and well-life classes as well as mindfulness and wellness coaching. Let’s find out what’s her true her story and how she became a nutritionist and breastfeeding chef. Tsitaliya: Ebeth, tell me a little about yourself – where were you born and grew up, what did you want to become when you were a child? Ebeth: I was born in Orlando, Florida. However, my mom moved us to Washington D.C. when I was just two months old. I’ve been in D.C. most of my life, with the exception of a year in New Orleans and my college years in New York. As a young child, I had lots of philanthropic interests. I was always disturbed by homelessness and created a newspaper called the Homeless Times that I wrote with my friends and distributed in my neighbourhood. I’ve always loved helping, encouraging and inspiring others to see their inner greatness. And I’ve always enjoyed feeding people. By the time I went to college, I entertained the idea of becoming a diplomat – mostly because I thought it would be a great way to meet people, cook and eat, entertain and change the world. Tsitaliya: What are the first three things you want someone to know about you? Ebeth: That there’s more to me than meets the eye. Often, people look at a person and assume they know everything. Today, I look like someone who never struggled with food issues or weight challenges. And while I’m proud of who I am and the values I live by, there’s so much more to me than what I look like. I want people to know that I SEE the greatness in them. That in addition to believing in my own dreams, I deeply believe in theirs. And… my clients worry about this before they start working with me… I am NOT the food police! Everything in moderation and from self love. Tsitaliya: Where is your interest in food and cooking coming from? Did you always want to be a nutritionist? Ebeth: My love of food and health began with my own childhood passions as well as personal struggles. Growing up, I spent Saturday morning watching cooking shows on TV with renowned personalities like Julia Child, Pierre Franne and Yen Can Cook. I was mesmerized watching raw and individual ingredients become delicious, beautiful, life-sustaining meals. After college I applied to culinary schools both because I wanted to grow my own knowledge about food and cooking and because I LOVED to eat and needed to know how to do it in healthy, nourishing, and flourishing ways. As a kid, I was overweight from too many sweets, too much dairy, too much bread and too little vegetables –and not enough exercise! I didn’t want to learn—or teach—people how to cook foods that made them unhealthy. Instead, I wanted to teach people to use food to fuel their most delicious life – a life full of energy with a healthy relationship to food and movement. The school I felt was most in alignment with that was The Natural Gourmet Institute for Health and Culinary Arts, so that’s where I went. Years later I wanted to further deepen my nutrition knowledge and so I completed the Plant Based Nutrition Certification from Cornell University . Tsitaliya: Getting pregnant, becoming a mom and breastfeeding are related to a lot of hormonal changes. I remember I was terrified by them and mostly by the way my body and my tastes were changing. I was asking myself would I ever be the same as before the pregnancy. What role food has in this process and how can it support women in this period of transformation? Ebeth: I believe food is a vital part of healing after pregnancy, replenishing during breastfeeding and setting the stage for life long healthy habits as solid foods are introduced to our children. I also think that the need to be mindful about food throughout the motherhood journey from pre-conception to conception, breastfeeding and beyond is one that cannot be overstated. Food is fuel for all that we do. It is information for our cells that can turn on and off disease and health challenges. Food can be an incredible act of love for self and family. Tsitaliya: The biggest struggle I hear most mums have once they give birth is losing the baby fat. What advice do you have for new moms about their diet? Ebeth: Well, first, I want to remind moms that it took about a year for your body to transform to the state it gets to after giving birth. So please, let’s give ourselves and our bodies at least as much time to return back to our pre-pregnancy state. Second, I don’t see the post-partum and breastfeeding season of motherhood as the ideal time to worry about weight loss—unless a mother is dangerously overweight. Instead, I want moms to focus on nourishing themselves with nutrient-rich, easy to digest, and delicious meals. I want those moms who are breastfeeding to focus on foods that support their milk supply and help them to avoid common issues like colic, cradle cap, eczema, extreme fatigue and low milk supply. 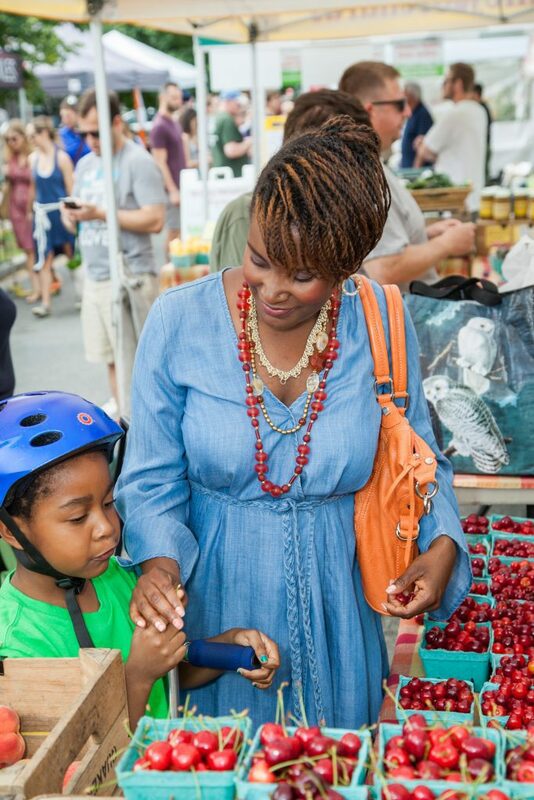 I invite moms to focus on learning how to prepare nutritious meals for themselves so that they will be ready to pass along healthful eating practices to their children, who can pass them along to their kids. In my mind, by adopting these beliefs and behaviours individually and culturally, we can collectively shift the current illness epidemic we as a global community face. Tsitaliya: What’s is your favourite recipe for breastfeeding mums? Can you share it with us? This delicious smoothie is chock full of milk making grains, spices, fruits and seeds that support lactation. Though it is designed for nursing women, it is a delicious breakfast, snack or treat that the whole family can safely enjoy. The recipe is easily doubled to serve more people. In a high powered blender, combine all ingredients. Blend one minute or longer until smooth. Serve and enjoy! Store leftovers up to 48 hours in a glass jar in the back of the fridge. ** make this a green smoothie by adding 1 cup baby spinach. Tsitaliya: I know you are a single mum who also runs a business – can you describe a typical day in your life? Ebeth: Happy to! I do my best to start my day focused on self care first, then family, then business. Most days I get up early – around 5 am – and drink a big glass of water and express my gratitude for another day of life and the opportunity to deepen into my higher self and support those around me. I have my morning smoothie, then do a short meditation. I write down my intentions for the day. Then I get my sweat on with my favorite at-home training system called Beachbody—think of it as the Netflix of exercise videos. By then, Cayenne is up and I’m helping him get through his morning routine. I make breakfast for him and pack his lunch. The two of us chat a bit during breakfast. I take a quick shower and get dressed. Then I take Cayenne to school. When I get back from school, it’s time for work. Depending on the day, I’ve got client connection calls, recipes to develop, emails to write and respond to, and check-ins with clients. I make an effort to take a short walk and stretch breaks throughout the day, especially since sitting for long periods at one’s desk is now considered as detrimental for your physical and mental health as smoking. About an hour before it’s time to pick Cayenne up for school, I prep for dinner. Then I get Cayenne we have dinner together. Then it’s bath, brush, book and bed. Because I rise early, I try to get to bed by 9:30 so I can wake up fresh and inspired. Tsitaliya: How do you deal with fear and self-doubt as a woman, mum and business owner? Ebeth: That’s a good question! I think most people who know me would be surprised at how much fear and anxiety I experience as a mom and business owner. I worry about being the mom that Cayenne needs to thrive. I worry about being the coach I need to be for my clients. And I worry about being the woman I need to be to achieve my goals. But there are a few things I do to help manage my fears and keep moving forward. First, I surround myself with people who can accurately and lovingly reflect back to me a clear vision of who I am devoid of the warped view I may have in that moment due to my anxiety. Second, I practice journaling and meditation to help keep me stay connected to the Universal energy and to remind me that I’m put here on earth to share my unique gifts and greatness with the world. If I don’t do what I’m here to do, who will?! When I’m scared, I do it anyway. It’s normal to have fears. But we can’t let them stop of us from creating and stepping up to new opportunities. In motherhood, I think my fear of not being a good enough mom only encourages me to listen more closely to my child, to research parenting strategies to help me and to lean on the shoulders of other moms I admire and trust. Tsitaliya: What changed in your life when you became your own boss? Ebeth: Becoming a businesswoman meant I could fully express my creative freedom. Quite honestly, I was never a great employee. Sure I did good work wherever I was, but I often felt restless and stifled. Becoming my own boss challenged me to become more, discover my strengths and areas of growth. I’ve become a better person overall by creating a business. Tsitaliya: What is the biggest challenge you have faced as a woman in business till now and how did you deal with it? 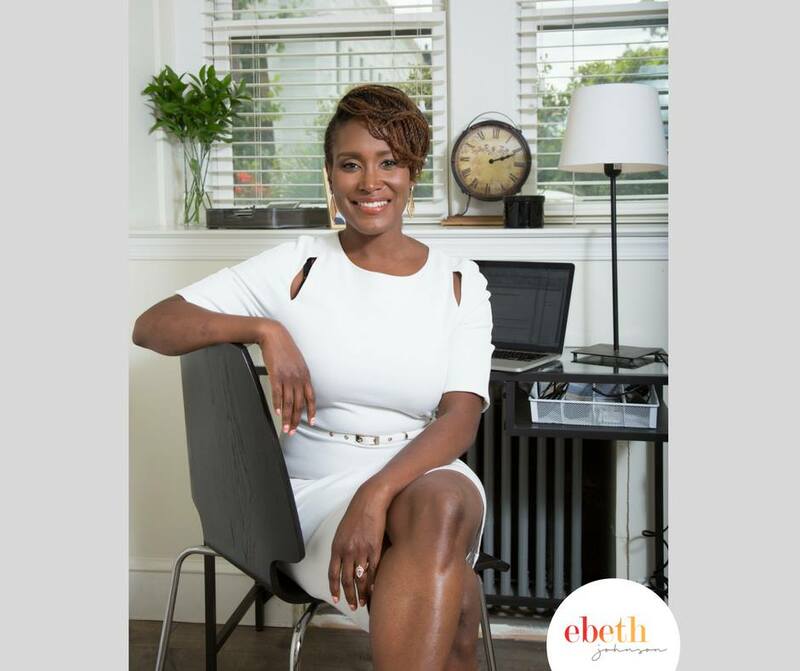 Ebeth: I think the biggest challenge I face as a woman entrepreneur is acknowledging the power and purpose of feminine energy in the business world. It can be easy for women in business to believe that they need to tap into their more masculine attributes in order to succeed in business. But this is not true! Instead, women need to deepen into Feminine Energy to authentically grow in business. Empathy, intuition, multi-tasking, motherhood, being emotionally aware – these are all Feminine traits that can be useful in business. There is no need for women in business to suppress these parts of themselves. Tsitaliya: How do you take care of yourself? How do you practice self-love? Ebeth: I practice self-love with every meal I make and bite I take. For me, eating well is one of the cornerstones of my self-love practices. 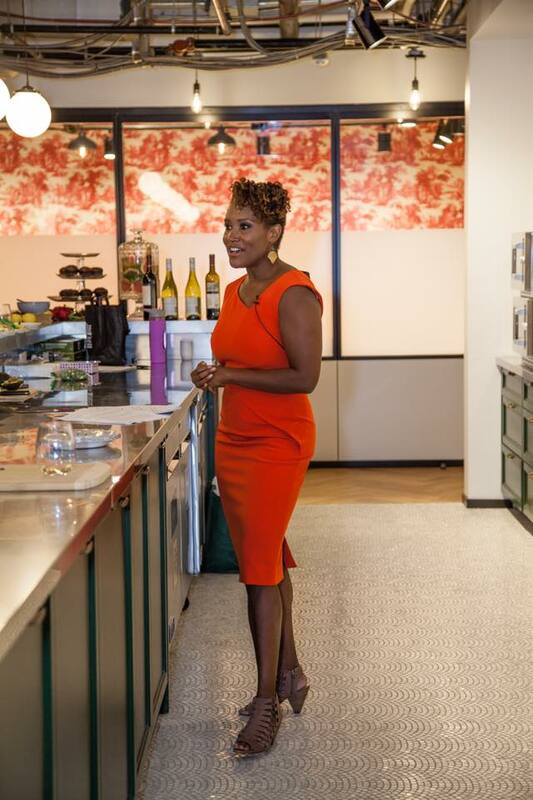 Because I understand—and teach—that food fuels who we are, who we are becoming, the goals we are working towards our motherhood journey, our business savvy and our overall health, wellness and vitality. So I love myself daily by feeding myself well. In addition, I move my body in ways that feel good to me almost every day. And finally, I feed my spiritual self with a rich spiritual community, books and meditation. Tsitaliya: What do you dream of at the moment? Ebeth: At the moment, I dream of having my own television show. I imagine a show that combines the best of Rachel Ray, Oprah and Iyanla Vanzant. So I’d offer nourishing, plant-based–not necessarily vegetarian or vegan just focused on plants–recipes, along with interviews and interventions and mindfulness practices everyone can use. I dream of raising my son to be independent, kind, honest, and brave. I want him to know he has options and choices in life. I want him to be confident enough to be himself. I want him to know that his meals, movement and mindset are the base of his success and life. And if you feel you need to become that confident boss mama fully stepping in and embodying your personal brand check our upcoming workshop: Claim your Brand!